I live in Boulder, Colorado, 5,420 feet above sea level. Can you say DRY and BRUTAL for my hair, skin, and nails? I remember the sheen and body I’d see in my hair when I lived on the East coast during spring and summer. Out here, my wannabe luscious locks begin to look like lonely shriveled branches. 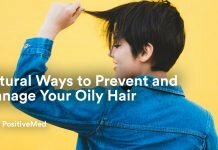 Years ago, I’d use hot oil treatments in my hair, until I found out how toxic most of them were. Now I’ve got my own version: I treat my hair with an avocado mask. Avocado oil is so nourishing and hydrating. 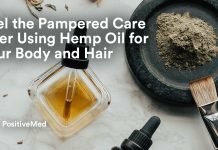 It does wonders for your skin and is even better for your scalp. 1. Put all the ingredients in a food processor and mix until smooth. 2. Using a basting brush or professional color application brush (available at beauty-supply stores or online), paint on your hair, then squeeze to distribute evenly. 3. Leave on for 30 minutes and then shampoo out completely. 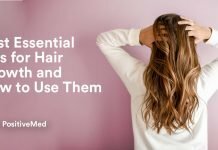 Your hair will feel thicker, fuller, smooth, and silky. I have just given you my secret weapon against dry and brittle hair … What do you do to hydrate your hair? I’d love to hear from you! Hayley Hobson is an author, speaker, business coach, yogi, Pilates and holistic nutritional expert based in Boulder, CO. Hayley creates lifestyle transformations by coaching her clients to strengthen, nourish and evolve through the cycles and shifts in life. Combining cutting edge understanding in all three disciplines due to years of anatomical study and dietary theory, Hayley’s approach leverages their blended benefits and results. Her unique and intelligent style promotes strengthening while softening–empowering her client’s to heal not only their physical bodies, but their hearts and minds as well. Hayley studied at the Institute for Integrative Nutrition, continues her studies with David Wolfe, raw food expert and is an essential oil expert in her own right. 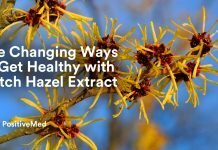 She is a doTERRA Certified Pure Essential Oil Diamond Director and a Pangea Beauty Ecologist. Her insights and articles can also be found on her blog, Elephant Journaland Islaorganics. She has also been featured in Pilates Stylemagazine, Natural Health magazine and Triathlete Magazine. She has fun running and playing in the mountains with her husband, former world-ranked triathlete, Wes Hobson and their two beautiful daughters, Makenna and Madeline . To learn more about her nutritional courses, events she’s hosting and custom programs go tohayleyhobson.com or follow her on Facebook or Twitter or Pinterest.